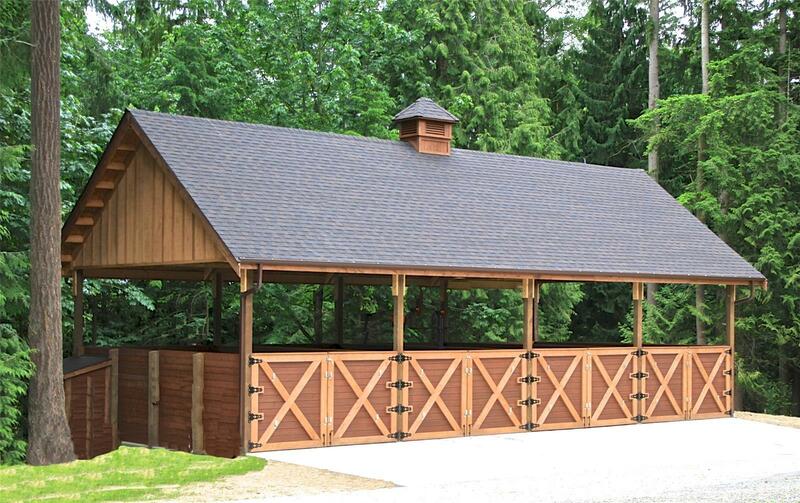 David C. and his wife purchased a very old and “well worn” stable on the east side of Redmond, Washington. As part of their rehabilitation and expansion of the facility, they purchased a new 10-stall barn from Barn Pros and an expanded Paragon Compost System from O2Compost. The expanded composter utilized a repurposed shop building kit, and incorporated the aeration system in the concrete floor. The system composts the manure generated by a total of 28 horses and the finished compost is utilized by a neighboring organic farm.